The El-Hibri Foundation (EHF) launched its 2015 grant cycle on May 1, 2014. We are pleased to announce that the letter of intent (LOI) process, which ended on June 15, concluded with a record number of grant application submissions. EHF is currently reviewing 184 LOIs from a broad range of organizations. President Judy Barsalou commented on the near tripling of applications, saying, “With a strategic staff expansion just a little more than a year underway at EHF, we are excited by the response to our grant cycle. We are working to connect with and facilitate cutting-edge work undertaken by organizations seeking to advance peace education and interfaith cooperation.” She noted EHF’s sharpened focus on grant applications that describe activities designed to demonstrate impact, raise public awareness and mainstream activities through wider adoption by schools and community organizations. EHF’s Board of Trustees will be reviewing the LOIs at the end of July. By the close of August, the Foundation will request full proposals from a select number of applicants. 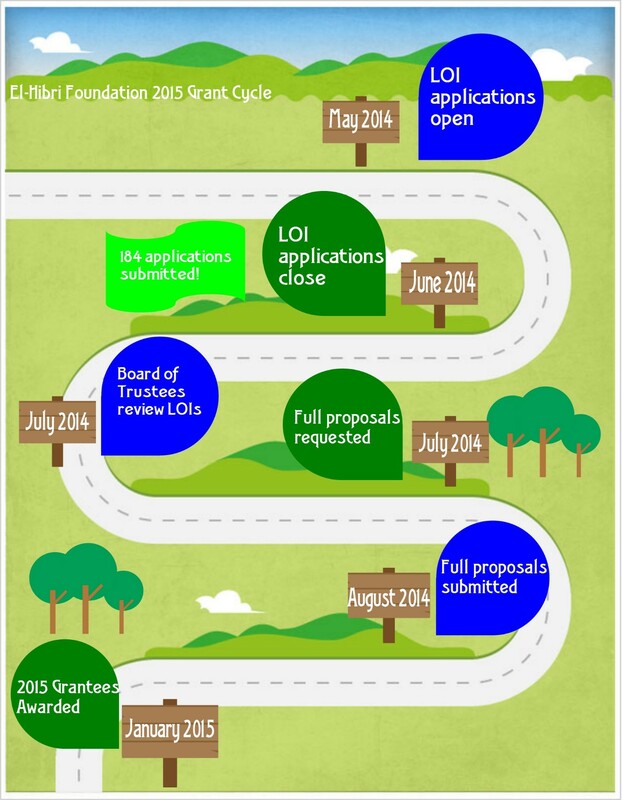 Final notifications for 2015 grantees are expected in late December 2014. Although narrowing the applicant pool will be challenging, EHF is encouraged and invigorated by the number of organizations making contributions to peace education and interfaith cooperation. To learn more about previous EHF grants and understand the grant application process, please visit our grants page.